Or is it more just for interest's sake to see what is next in the world of smartphones? Before Samsung made the Galaxy M10 and the Galaxy M20 public, there were also talks about a third device from the company - the Galaxy M30. As far as the display is concerned, the leaks show that the Samsung Galaxy S10 and S10 Plus will have a curved display for a better edge-to-edge display design. The Galaxy S10e, which will be the base configuration, will boast a dual-camera system on the back, while the standard Galaxy S10 will use a triple-camera setup too. Galaxy S10 Lite might be a little easy on the wallet, but will also lack some features. There will also be a Type-C port, a speaker grille and a 3.5mm headphone jack. Like the M20, the Galaxy M20 also supports face unlock and adds in a fingerprint sensor for additional security. The Galaxy M series is Samsung's new bang for the buck lineup that offers compelling mid-range hardware, a larger screen and a huge 5,000mAh battery. 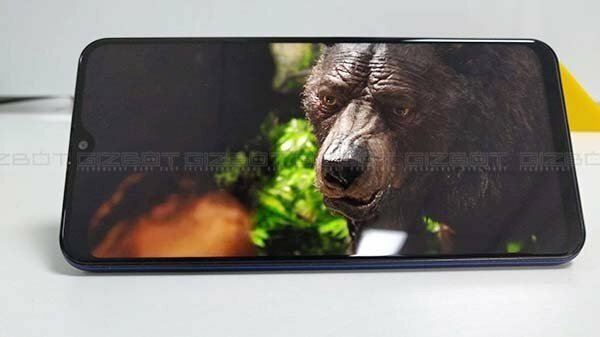 Coming to the specifications, the report highlight that the smartphone will feature a 6.38-inch Full HD+ Infinity V Display with a screen resolution of 2210 x 1080 pixels. The fingerprint sensor is also placed under the glass, so the back of the phone only brings us the three-camera system exclusive to the Galaxy S10+. The Exynos 7904 SoC powers the smartphone with 4 GB of RAM and 64 GB of internal storage. The Samsung Galaxy M30 will run on Android 8.1 Oreo out of the box with custom Samsung Experience UI on the top.